It was a 2013 concept video for a device called Phonebloks that first brought the idea of a modular smartphone to the masses, and after Phonebloks designer Dave Hakkens teamed up with Motorola to develop it, the project was eventually taken over by Google. 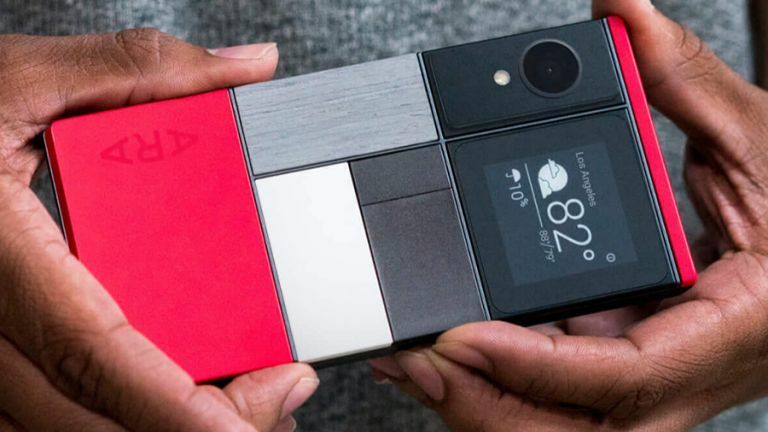 Thus Project Ara was born and Google has been sharing details of the progress it's made so far - we're now getting very close to the point where you can actually go out and buy one of these modular smartphones for yourself. Here's everything you need to know. Who wants a modular smartphone anyway? Why pick a modular phone over a good old regular one? Well, to get the features you specifically want and save money by dropping those you don't need, for a start. You could customise your phone with a big camera module at the expense of decent speakers, perhaps, or choose to upgrade to a huge battery pack if you don't mind the extra weight. Cutting down on e-waste and extending the lifespan of mobile phones are other reasons why people are excited about modular tech: you can just upgrade one component at a time rather than the entire device. For example, if your phone's screen should get cracked, you can swap it out for another display module without having to ditch the whole device. While we're focusing mainly on Project Ara here, other devices like the Fairphone 2 are built along similar lines: the Fairphone 2 isn't quite as modular as Google's device is, but it does allow you to swap out seven of the internal components (including the camera, the battery and the speakers) if something inside gets broken or needs upgrading. When Dave Hakkens shared his Phonebloks demo with the world back in 2013, he wasn't aware that Motorola was also secretly working on something very similar - the Dutch designer and the US company then joined forces to create Project Ara, which was eventually taken over by Google (remember that Google owned Motorola for a time). Under Google's stewardship, Project Ara has developed from a concept to a prototype, though it's not been a particularly smooth ride - a trial launch scheduled for Puerto Rico in 2015 never materialised, there was talk of a "market pilot re-route", and there hasn't been much new information until this year's Google I/O update (of which more below). It sounds very much like Google's engineers have been busy trying to make the modular smartphone a real and viable product rather than just a nice idea, but as more time passes it seems to be scaling down its ambitions. A developer edition is now on the way for the earliest of early adopters, and will be shipping before the end of the year, Google says. Project Ara fans were treated to a big update on the state of the technology at Google I/O 2016, with a new, more stylish prototype demoed on stage during one of the event sessions - what's more, an "okay Google" command was enough to eject one of the modules. Popping out your phone's camera with a few words could soon be a reality. There was also a new demo video too, showing various clean-cut and contented Ara users swapping camera, speaker and button modules in and out of their phones. There's even the option to choose blocks that match your colour scheme on a particular day, and apparently a lot of these modules can be 'live swapped' without turning the phone off. Most important of all, Google said Project Ara was on course for a commercial launch in 2017, with developer units shipping in the autumn of 2016 (so third-party manufacturers can start working on their own modules). Ara will represent the first time that Google has developed a phone completely in-house without help from a third-party OEM partner. With developer editions due out by the end of the year, interest in Project Ara should start ramping up again - and it's only if customers, software developers and hardware manufacturers get interested that this whole idea is going to be successful. Of course, there's no guarantee that there won't be more snags along the way in 2017. Dave Hakkens (who is no longer working on the development of the device) isn't best pleased about the direction Project Ara has now taken, saying the latest design isn't as modular as it could be - if the screen breaks, you need a whole new phone. Hakkens also says the project should be a lot more open and collaborative than it is at the moment. While Hakkens may have reservations, it's exciting that Google has got this far - and if it can complete the job over the next 18 months then we should have a truly unique and personal device on our hands. A lot will depend on price and network support, of course, but we're looking forward to what comes next in the modular smartphone story. What is modular tech and should you believe the hype?